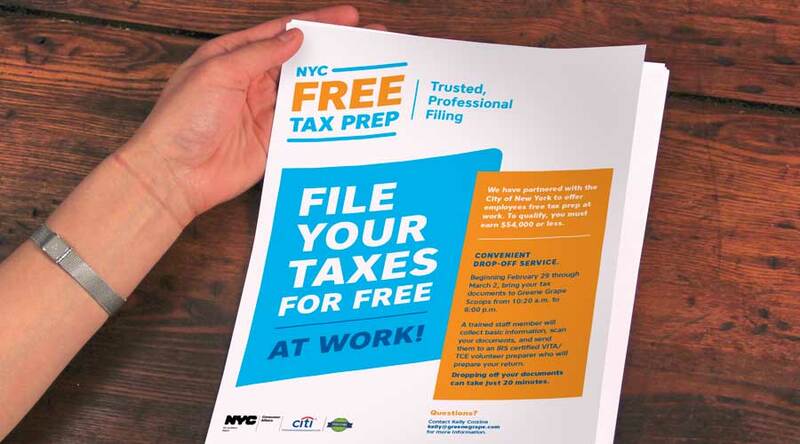 Using service design to promote a publicly-driven free tax preparation service. The largest municipal consumer protection agency in the country, The New York City Department of Consumer Affairs (DCA) works to protect businesses and consumers citywide, helping New Yorkers manage and protect their money. 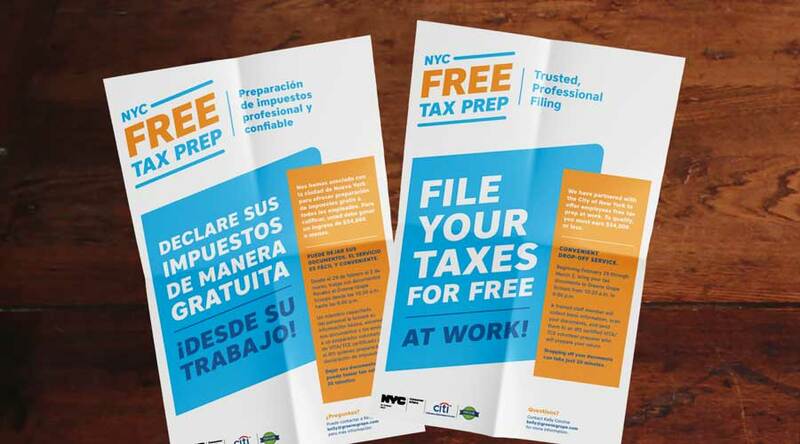 The Agency sought a creative and accessible means to promote its NYC Free Tax Prep at Work program. TYTHEdesign built on existing brand identity to support DCA’s outreach and pilot program implementation, creating posters and printable paystub flyers with relatable and appealing visuals. We approached the outreach campaign by designing materials that could be easily replicated and distributed and could reach employees through multiple touchpoints. 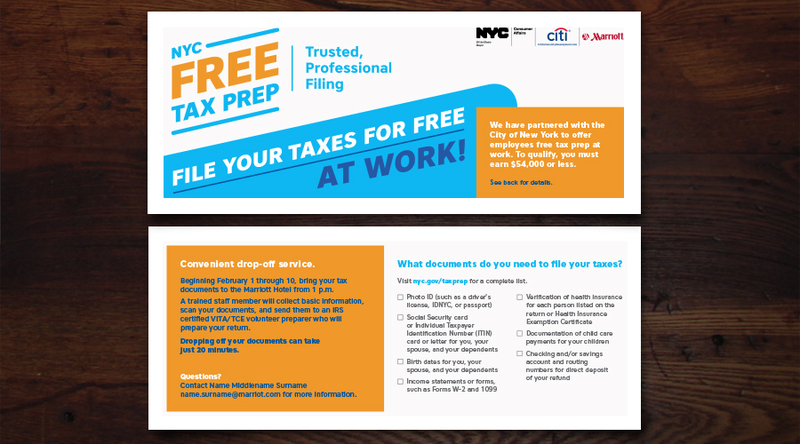 Collateral informed workers of convenient service, where employees may simply drop off their tax documents at their place of employment to receive free assistance. The visuals sought to simultaneously promote DCAs larger Design for Financial Empowerment initiative, which seeks to incorporate service design into DCA’s practices. TYTHE’s materials supported eight participating employers in publicizing and implementing the convenient service—including the Food Bank For New York City and Macy’s—supporting several hundred New York City employees. All of the materials were produced in English and Spanish, promoting the opportunity to as many workers as possible.